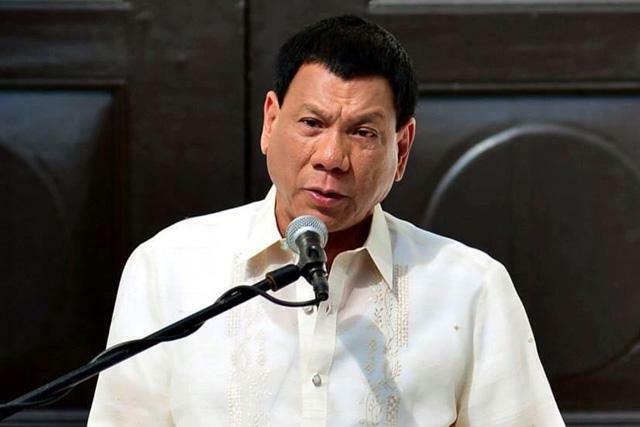 MANILA, Philippines – He’s a womanizer who is worse than a dictator and does not deserve to lead the country, Catholic bishops said yesterday after Davao City Mayor Rodrigo Duterte cursed Pope Francis in public. The newly proclaimed presidential candidate apologized yesterday and denied cursing the pontiff. “Is this the leadership by example that Mayor Duterte excites in us? Is this the leadership by example that makes a public official deserving of the title ‘honorable’?” Catholic Bishops’ Conference of the Philippines (CBCP) president and Lingayen-Dagupan Archbishop Socrates Villegas said in a statement yesterday. “We have so many leaders in office and many more aspiring to sit in office but are they examples of good citizenship? If the leaders we choose are to be leaders for national progress they must be visionaries and exemplary,” he added. During the proclamation rally of PDP-Laban on Monday, Duterte complained in front of his supporters about the traffic jams during the papal visit in January, saying he was stuck in traffic from the hotel to the airport because of road closures. “Gusto kong tawagan, ‘Pope p******, umuwi ka na. Huwag nang mag bisita dito (I wanted to call him and say, ‘Pope ******, go home. Do not visit us here),” said Duterte, a Catholic. His remarks drew some laughter from the crowd. Villegas expressed disgust at the crowd’s laughter. During an event on Sunday in Taguig, Duterte also admitted that he is a womanizer, providing details about having two wives and two girlfriends. In releasing personal details of his life, the mayor said he wanted the public to know him for who he is. He also stressed that no public funds were used to support his girlfriends. Gabriela women’s party-list slammed Duterte for objectifying women after photos of the mayor kissing female supporters sitting on his lap were released on social media. Gabriela Rep. Emmerenciana de Jesus said womanizing and treating women as objects are an affront to women and should not be flaunted. “This reeks of machismo and reinforces the society’s low regard of women and consequently increases women’s vulnerability to violence and abuse. This is both distasteful and unacceptable,” she said. “The usual face of corruption that we recognize easily is stealing from public funds. Corruption, like a monster, is a devil with many faces,” Villegas said. “Adultery is corruption. It makes married love cheap and uses people for pleasure. Adultery corrupts the family; it destroys children and victimizes the weak,” he added. Cruz also warned Filipinos that Duterte’s earlier statement that he would kill anyone who he thinks committed wrong is a sign that Duterte has no regard for human rights. “This man is dangerous if he holds power because he considers himself god,” he added in Filipino.